I like it when reviews catch me completely off guard. While I did offer copies of my books for review purposes a while back to a couple of people, I placed no pressure on them. What caught me by surprise here? Well, this is a review by someone who doesn’t particularly like horror or things Cthulhu, but this review is incredibly positive about the books potential. A fantastic and thorough review From Unformed Realms on RPG Geek, by Steve, really made my day. What caught me by surprise here? Well, this is a review by someone who doesn’t particularly like horror or things Cthulhu, but this review is incredibly positive about the books potential. 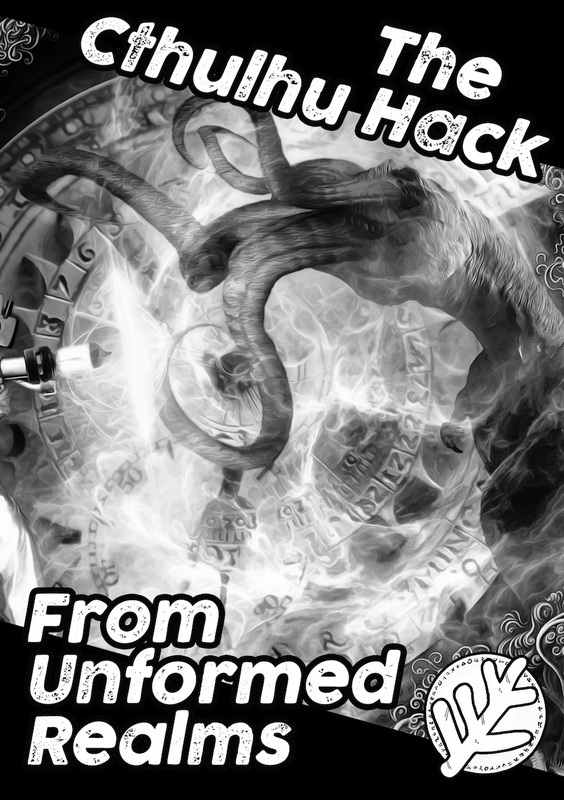 From Unformed Realms, nominally a supplement for The Cthulhu Hack, is … a simple but detailed system for creating “horrific” and otherworldly monsters. But it’s nearly systemless – just a long list of ideas for charging up your monsters. As a fantasy gamer, I didn’t expect this to work for me – but I was pleased to find that From Unformed Realms is a great tool for any game that needs weird and malevolent opponents. From Unformed Realms was a very pleasant surprise to me. I expected a drier set of tables more focused on Cthulhu – instead, it’s an evocative and easy to read source of inspiration for just about any otherworldly monster. I like how it cuts straight to the weirdness – horrific or simply dangerous – and lets you build the monster around those core abilities. I fully intend to use this in fantasy games – at least high-fantasy ones, where “realism” isn’t a concern. There you have it – suitable for any game where you want to spice up your antagonists and throw something at your characters a little out of the ordinary! You can grab a PDF of From Unformed Realms from RPGNow and DriveThruRPG; or, grab a physical copy from All Rolled Up.